It's been such a long time I bought any earrings jewelry off the shelves since I started to make my own, but I just bought this. 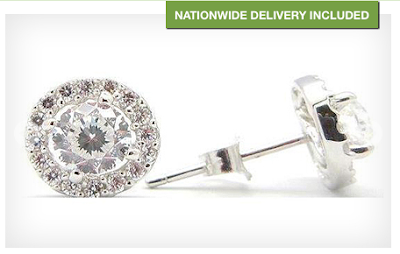 Platinum Enhanced 92.5 Sterling Silver Ear Studs with Cubic Zirconia Stones! It's something I've been looking for for a long time and I had been thinking about should or should I not go for this for as many day as it was on promotion.